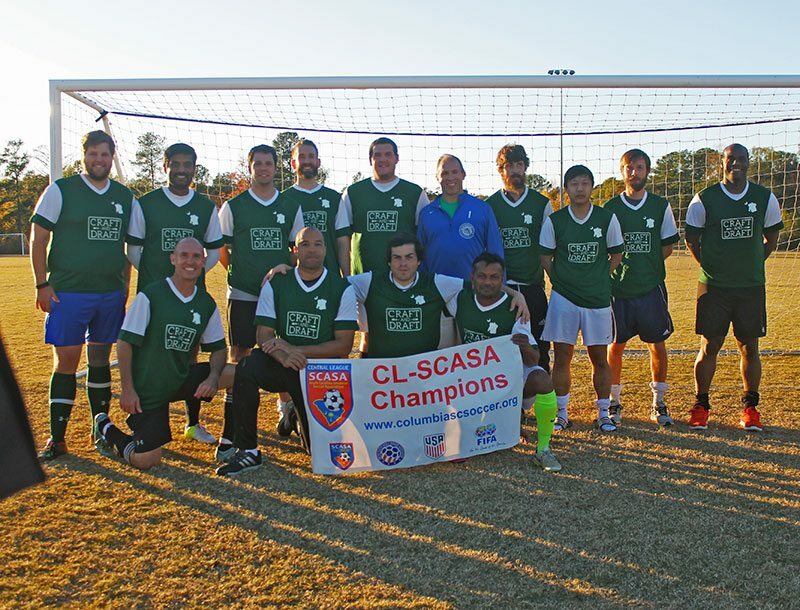 Our soccer team, Columbia FC, captures the Central League Division 2 Championship with an 8-1-1 regular season record. With winning the Division, we are promoted through to Division 1 for the Spring 2018 Season. Pictured from Left to Right (Top) Alex Edens, Shyam Balachandran, Marc McKenna, Trevor Hall, Matt Cook, Lee Corbin, Josh Boyd, Johnny Kimboyee, Josh Bemis, Matthew Harris (Bottom) Dave Maxfield, Gerald Eichelberger II, Joel Leon, Uday Muraleedharan. Not pictured: Bon Nguyen, Stoyan Gamishev, Raijon Coles, Avery Zierk, Edwin Waleh, Ricardo De La Paz, John Boettcher, John Powell. Huge thanks to our sponsors Craft & Draft and Indian Grocery for their support this year!